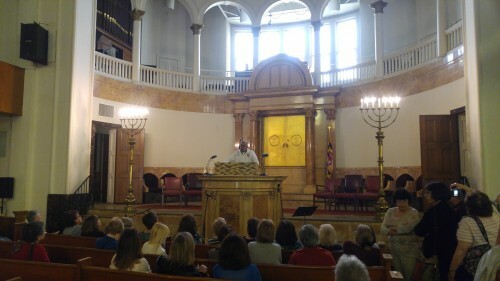 The past few months I have worked with historian Barry Kessler and Ilene Dackman-Alon on the Henrietta Szold’s Baltimore Bus tour, which launched this past Thursday with a bus filled with local Hadassah members from the Greater Baltimore chapter. In preparation for the tour, I helped to create a booklet that accompanies the tour filled with quotes and images related to Henrietta’s life in Baltimore. I also went on “practice tours” throughout the city with Barry and Ilene. To create the booklet, I searched through the JMM database to find pictures of Henrietta Szold (1860-1945) and her family as well as images of Baltimore’s cityscape that she would have seen or visited in the late 1800s. It was especially meaningful to have this premiere tour be for Hadassah, the organization Henrietta Szold founded in 1912 to provide medical aid to the people of the land of Israel. Barry’s narration of the tour allowed us to imagine what downtown Baltimore looked and felt like in the late 1800s, when Henrietta was born and raised, and gave the Hadassah group a better understanding of the early life of their founder. I learned a lot about the life of Henrietta Szold and her family in Baltimore, and I also learned a great deal about the city’s cultural and economic history while researching this tour and working with Barry. For example, I learned about the importance of Camden Station, located down the street from where Henrietta was born on South Eutaw Street, and how it was one of the gateways to the city. Camden Station had a significant impact on the economic life of Baltimore’s mercantile industry workers. Nearby, many impressive garment factory buildings sprung up bearing the names Strouse, Sonneborn, and Hamburger, which are now loft style apartment buildings. 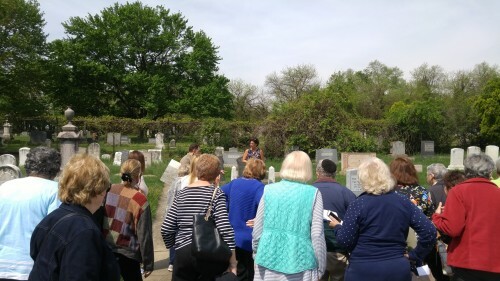 One highlight on the tour was the stop at the Oheb Shalom Cemetery on the east side of Baltimore near Dundalk. Many prominent Baltimore Jewish families have relatives who were buried here. We stopped to pay our respects to Henrietta’s family- Rabbi Benjamin Szold and his wife Sophie Schaar Szold and their other children (Henrietta is buried on the Mount of Olives in Jerusalem). Another memorable stop on the tour was the Oheb Shalom Eutaw Street Temple located in Bolton Hill, now run by the Prince Hall Masons. We were able to go inside the beautiful and historic sanctuary which the Masons have preserved so that others can learn more about this impressive building and its history. 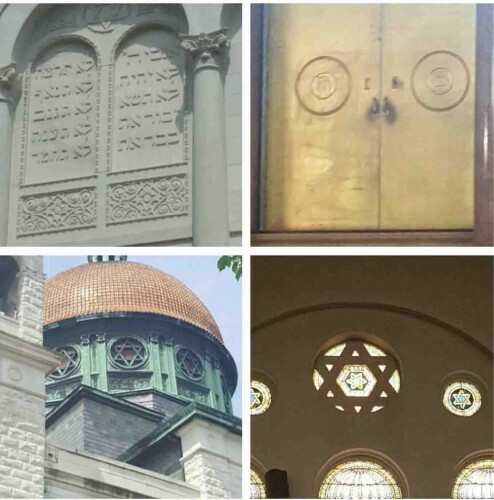 Iconography from the Eutaw Place Temple inspired by the Great Synagogue in Florence, Italy, now the Prince Hall Masonic Lodge. Photo by Ilene Dackman-Alon. 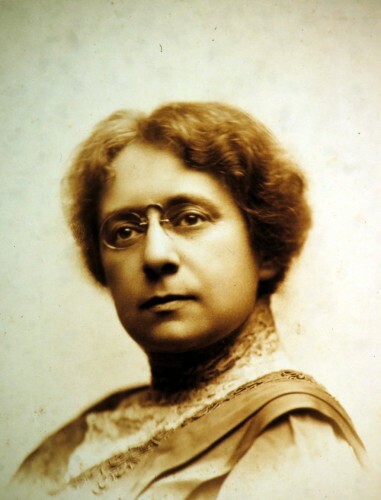 Henrietta Szold: Living History Character was made possible through the generous support of the Kolker-Saxon-Hallock Family Foundation, Inc., a supporting foundation of the Associated: Jewish Community Federation of Baltimore. Educational opportunities were made possible by the Jacob & Hilda Blaustein Fund of the Associated. Post by Museum Educator Alex Malischostak.